AT&T is sure to drop the beats when the HTC One X is finally released, but as we anticipate its eventual arrival, AT&T is moving forward in getting ready for the big day. 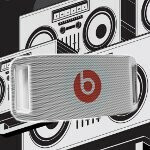 From the looks of its all, the carrier is expected to start selling the Beats by Dr. Dre Beatbox Portable audio system starting this upcoming Sunday, March 11th. Donning a premium price of $399 in-stores or through its web site, there’s no kidding that it’ll put a dent in your pockets, but it’s hardly a surprise considering these are Beats by Dr. Dre. To spread the word about its upcoming availability, this boom-boom-powered audio system will be featured on the March 14th episode of American Idol with Beats co-founder, Jimmy Iovine on hand. Well, part of the reason why it’s incredibly priced is the fact that it features robust sounds with professional-grade sound engineering to replicate the audio experience intended by the artist. Of course, it’ll go well with the HTC One X, well, whenever it decides to show its face around these parts. In the meantime however, HTC Vivid owners will also be able to enjoy this beast as well when its Android 4.0 update is pushed out – thus, bringing Beats by Dr. Dre audio profiles to the handset. In addition to packing a built-in dock connector for smartphones and other portable music players, it also boasts Bluetooth connectivity for a wireless experience. Interestingly enough, you’ll need to rely on good old wall power to juice this bad boy up, but if you prefer an untethered option, there’s always the solution of loading SIX D-cell batteries into it. Aside from this behemoth, AT&T intends on carrying other Beats by Dr. Dre accessories such as the $99 UR Beats in-ear headphones, $200 Beats Solo HD Headphones, and the $280 Wireless HD Stereo Bluetooth Headphones. Weeeet weeeew! That's a very high price. I'd recommend getting BOSE or Mirage or any other more affordable but quality speakers! 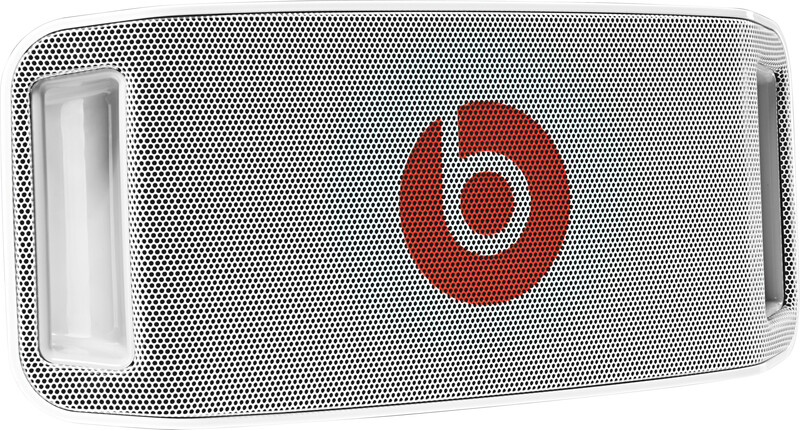 Beats is too over-priced just for it's (have to admit) great bass. Portable speaker system for your mobile phone that is more expensive than a quality pair of studio headphones. Genius! Seriously i DJ and my headphones were half that, just buying the name really. durable? no'ope.. see those cables? can it last more than 1 year? i know this because many of my friends use the Studio, and the cables fail on them after only 6 months, 8 the most.. ANC that is not really effective, muddy highs with uncontrolled lows.. yes, the design is nice, but again, as you said, it is just for that status symbol.. i don't mind having beats technology in my phone, but beats headphones, and now this audio box? nope.. i rather spend my $399 on a pair of Grado.. my $35 Pioneer CL series earbuds have more bass than the Beats.. and better high performance, with a more balanced mids.. you'll get recognition in the general public.. but is that why you buy a product? i buy a product for its function mainly..
im rocking klipsh s4a's. doesnt get any better for less than $100. i want the new klipsch reference s4's or maybe ill just jump to the x10's. i heart klipsch. In my experience they are durable. I've had the solo's for a year and have sat on the cable and puled it and it still works great. I have ibeats also that i have recently got a couple months ago and they go through a test since i wear jeans and they to have also lasted. So yes they are durable. I avent experience any muddy highs or lows and i keep it on full blast. I cant speak for the rest of the world but here in australia that price seems about right for a high end portable speaker. I paid AU $450 for my bose soundlink wireless mobile speaker. Will be interesting to see how it compares. sadly, i know there will be many a college and highschool student who will buy this up, fully aware it's not the best quality for that price, but want that Dr. Dre endorsed status symbol. I work at Best Buy and try my hardest to get people to buy Bose over that crap, they can hear the difference and they know it, but they justify the status symbol as more important.